Martha's decided friends are stupid. Especially if they're anything like Colette and Chloe. She never wants another friend. Ever. 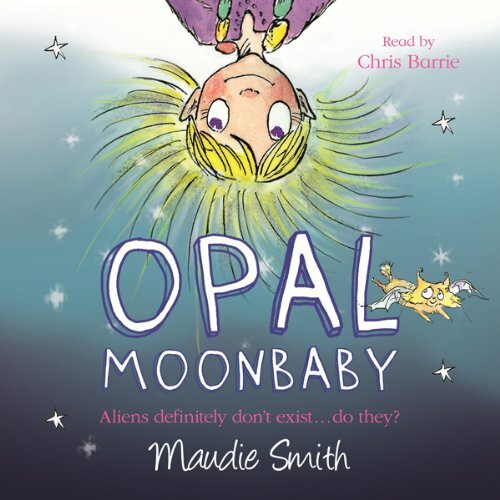 But it's the first day of the summer holidays, and there's not that much to do.... Until she spots a strange little furry creature who leads her to Opal Moonbaby. Opal's been sent down from her planet on a mission: to work out what on earth people are (and my goodness - people are strange) and to make a friend. Read by Chris Barrie. To his legions of fans across the world, Chris is best known as Rimmer - the Red Dwarf character who made love only once in his life. To others he is Hilary, Angelina Jolie’s butler in Tomb Raider; or Gordon Brittas, the most irritating manager in the history of the British leisure centre industry. After moving to London from his native Northern Ireland, Chris started out in the comedy clubs as an impressionist. Then he was picked up by the producers of Spitting Image, and he went on to provide the voices for a stream of characters from HRH Prince Charles to Paul Daniels. Other acting roles include the part of Alexander Pope in the Channel 4 production of Handel: Honour, Profit and Pleasure, and a lead role in Plague of Goodness, the controversial Radio 4 Monday Play.